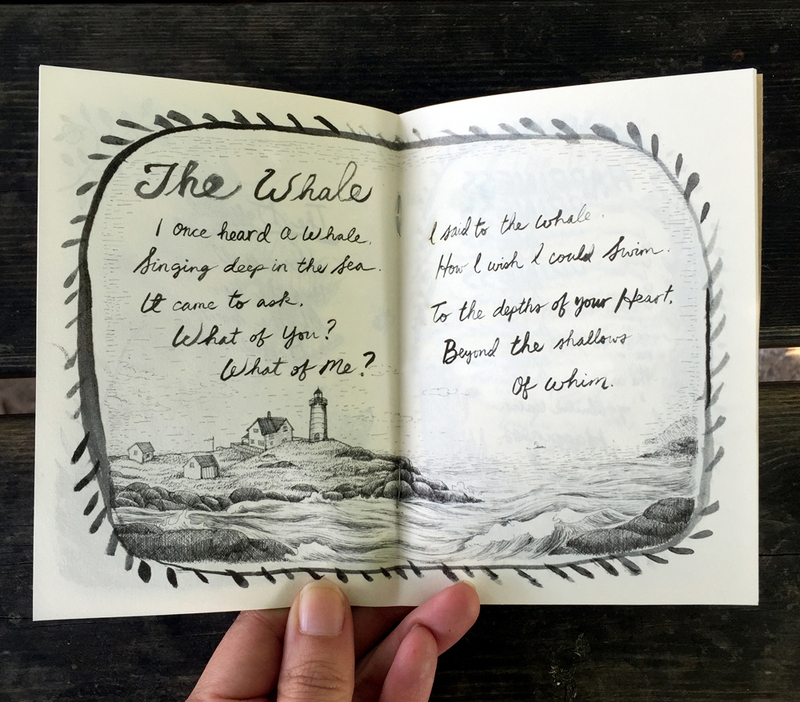 Handmade poetryzines featuring collected #OnePoundPoems by Amber Hsu – writer, artist, and creator of the One Pound Poem Poetry Project. 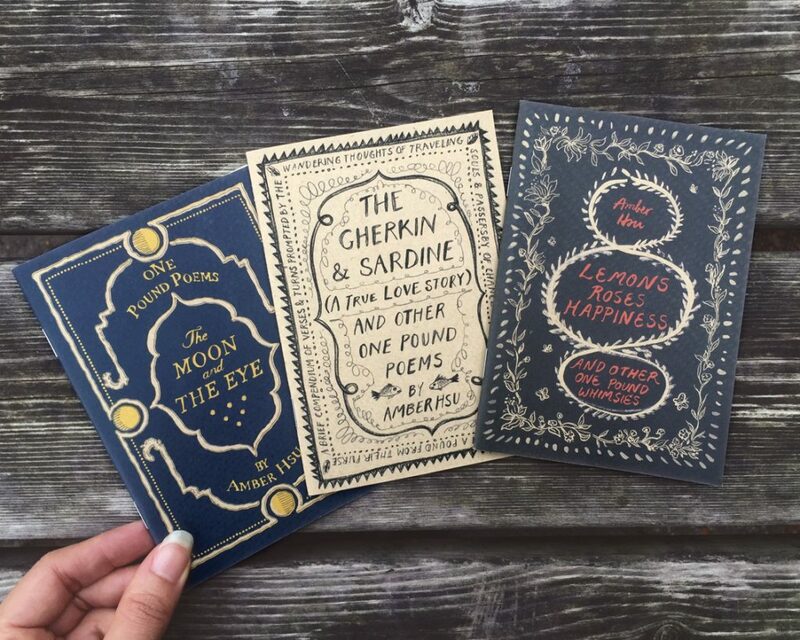 These fully illustrated poetryzines are available through studiohsu.etsy.com, at selected stockists, or wherever #OnePoundPoems appears. 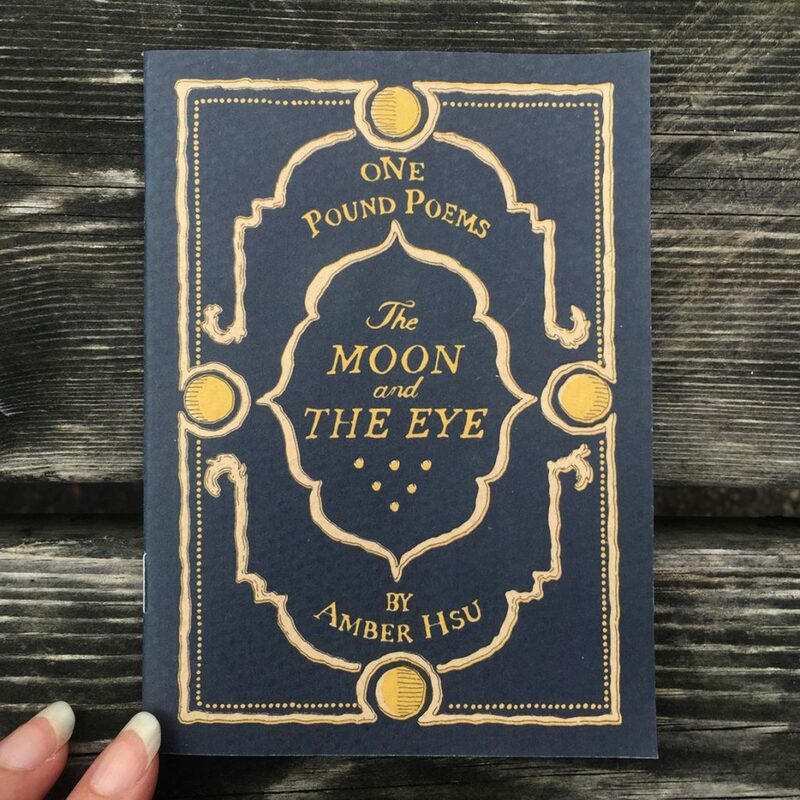 The Moon & The Eye: Features poems such as The Moon, The Eye, Autumn & The Future, and Depression. 20pp, B&W. 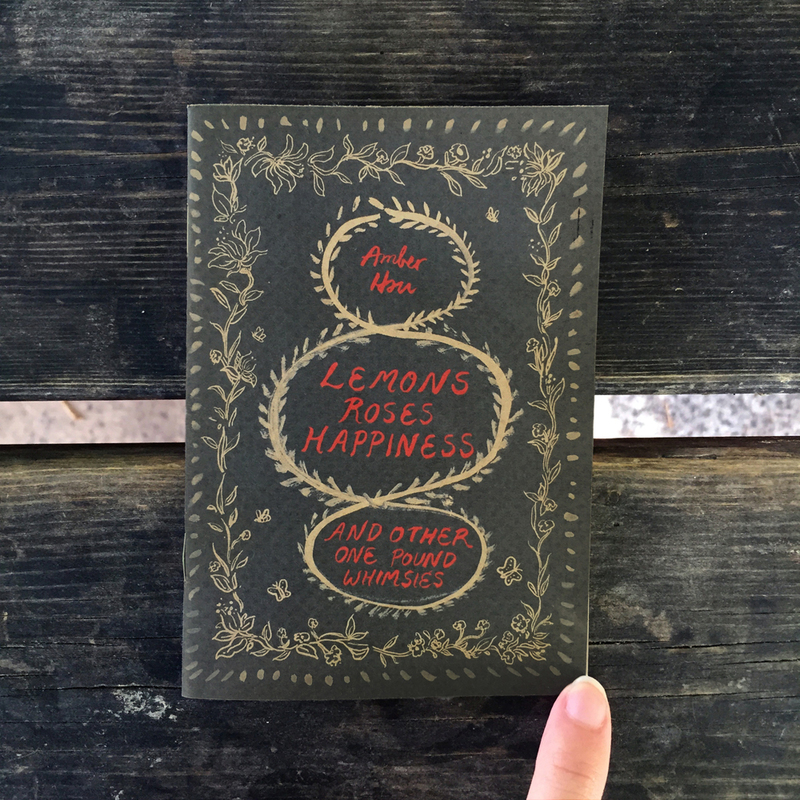 Lemons, Roses, Happiness: Features poems such as Lemons, Roses, and…Happiness. 16pp, B&W. 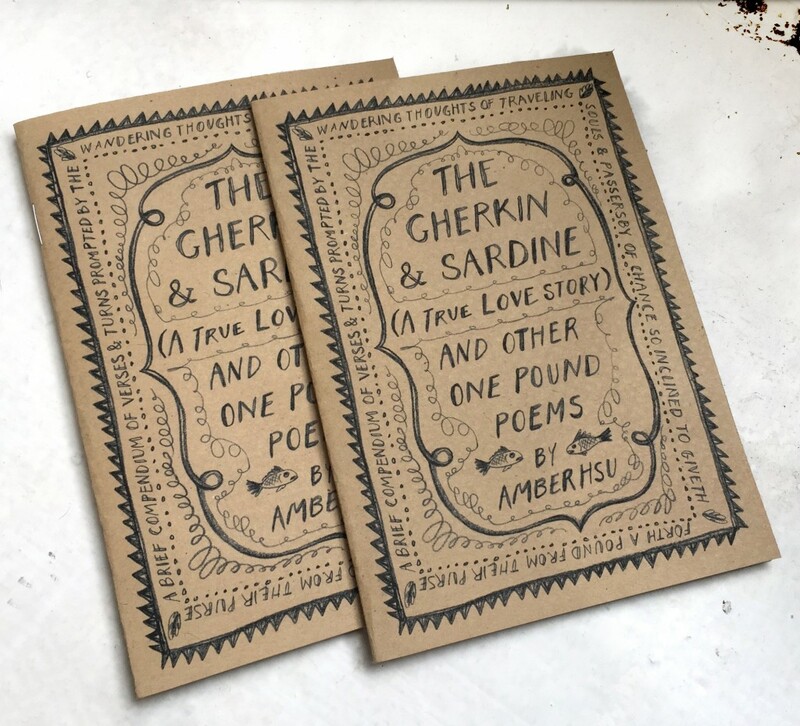 The Gherkin & Sardine: The first ever One Pound Poems poetryzine! Features The Gherkin & Sardine, Melons, Beans, and the Avocado. 12pp, B&W. Stay tuned for further editions!